As he steps into his one-room dilapidated house, 11-year-old Ravindra Kumar from Darbhanga quickly shuffles the contents of his knapsack to take out a computer-printed worksheet. Instead of the hassling notebook (as Ravindra calls it), the worksheet serves to teach him the concept of speed. There are questions pertaining to different time-distance-speed settings, and several diagrams to make Ravindra understand what speed is. “He’s been more excited since the school started using cartoons,” says Ravindra’s mother, a widow whose husband was taken away by Malaria in 2010. She makes ends meet by selling fish in the local market. Ravindra’s education would have been tough had the Right to Education Act followed by Sarva Siksha Abhiyan had not been enacted. While Sarva Siksha Abhiyan is doing well in terms of guaranteeing education to every child across India, it has never really pushed the ‘quality’ part it emphasized in its objectives. Digital education was scarce even in the cities until several entrepreneurs saw an opportunity in the education sector. Compared to the practical and objective-oriented teaching abroad, traditional Indian education depends on blackboards, textbooks, rote learning, and notebooks. The entrepreneurs aimed to revolutionize the old-fashioned education with smart classes and new tools. The interactive and educative videos that Ravindra enjoys (originally made by Nayi Disha and Educomp Solutions), are seemingly successful in reducing the dropout rate. Students who would take up odd jobs due to poverty, want to continue their education as they have a better grip on what’s being taught. You can thank the friendly anthropomorphic animals in the interactive math videos for that. This is why companies like Educomp Solutions, Nayi Disha, BYJUs, Culture Alley, Classteacher, and Vedantu are needed. 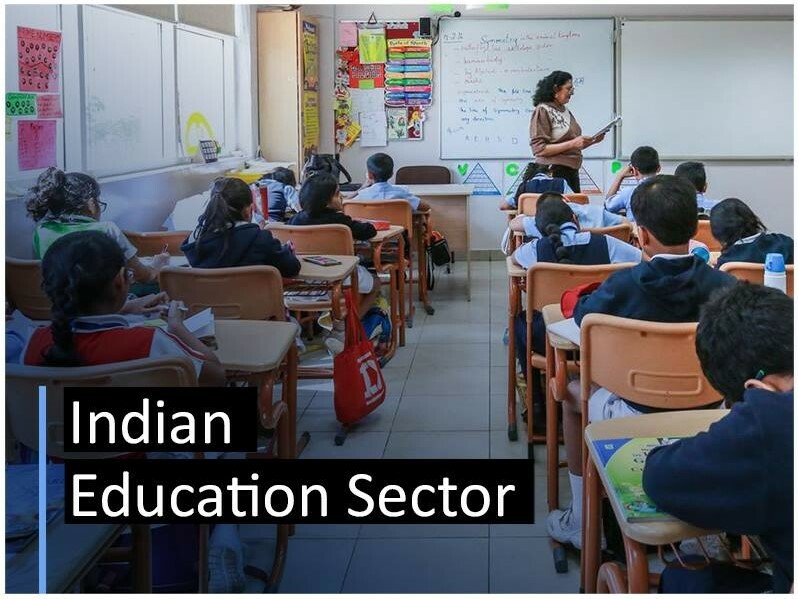 Each company has something unique to offer and has the potential to change the Indian education drastically. This is where it started. Founder of Educomp Shantanu Prakash, started Educomp Solutions as educational support services company in 1994 as a means to digitize education. Back then, computers were new and Educomp Solutions managed to seize the market through its innovative offerings. The company focused on spreading technology-aided education across the country, rather than focusing on a single metropolitan. Currently, Educomp Solutions has the largest presence and is aiming to digitize every school in India within 3 years. For this, support is needed from the central and state governments. Educomp is majorly teaching with smart-classes, infrastructure, and various tools. Byju’s has been providing education videos since 2011. Though its website does not feature a bulk of interactive content, the explanatory videos are perfect for K-12 students. The popularity of its content attracted a lot of takers. They even partnered with Shah Rukh Khan to boost their reach. Byju’s also provides digital copies of NCERT, RD Sharma, and RS Aggarwal books. One can register to avail its services for free, the reason why Byju’s needs to be propagated around the country with government tie-ups. Education should be extended to home too. Classteacher is one of those few companies that caters to the needs of the students with a vast vault of resources. Their ‘Classpad’ gives children an edge on their curriculum with preloaded content. The government can easily sponsor Classteacher products for the students in poor villages. Digital Education is known to have three main components, namely the content, the technology platform, and the delivery infrastructure. These three can be easily supported by government. While Educomp can help with the delivery infrastructure and technology platform. Byju’s can provide the content, and Classteacher can extend it to the student’s home. Let’s hope that by the time Ravindra is 18, Indian education gives him a platform to excel in the filed he wants to, not just in the country, but around the globe.